Apartment Florence near Boboli Gardens, Pitti Palace and Ponte Vecchio. 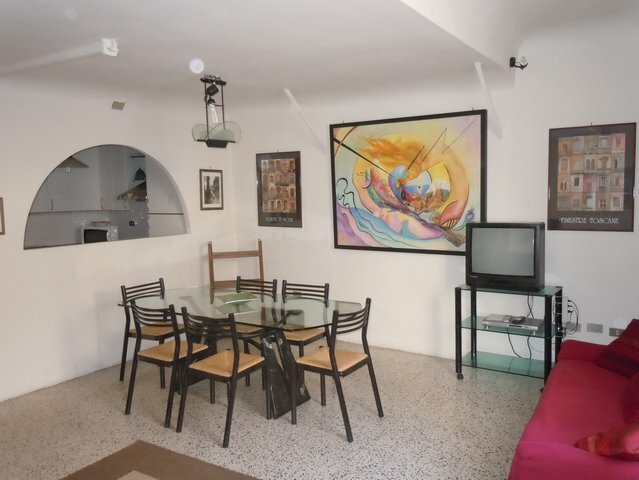 Full Description: This lovely apartment is located in the Oltrarno area of the city centre. 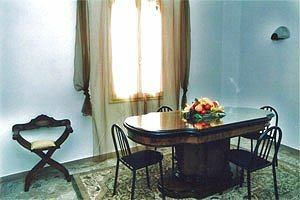 At the 3rd floor, bright and silent, it faces the garden of Piazza Tasso, just outside the old city walls. This apartment is in old florentine style: its 'cot to' floor and wooden-beam ceiling makes it very cozy. 45 square meters wide, it is composed by a living room with sofa and fireplace, a table, kitchen corner (with fridge, gas fires and microwave+grill), a bathroom with shower, a bedroom with a double bed. In the living room there is a wooden loft with an armchair which turns into a single bed: a peaceful place for reading and a possibility of a third accommodation. This listing has been viewed 13498 times.